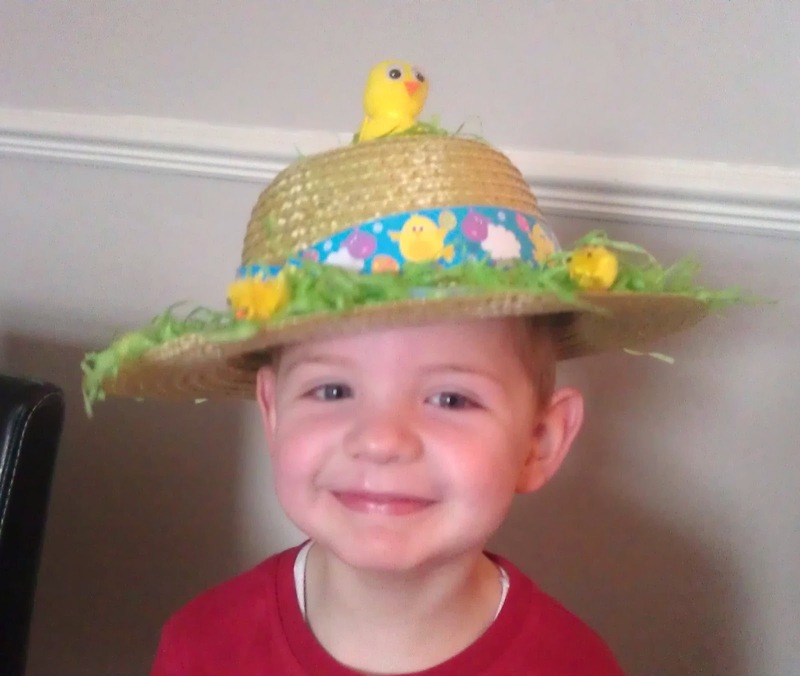 On Friday Oliver brought a letter home from pre-school saying they were having an Easter bonnet parade on this week. The infant school which his pre-school is part of do it every year and he was very excited about going into 'big school'. 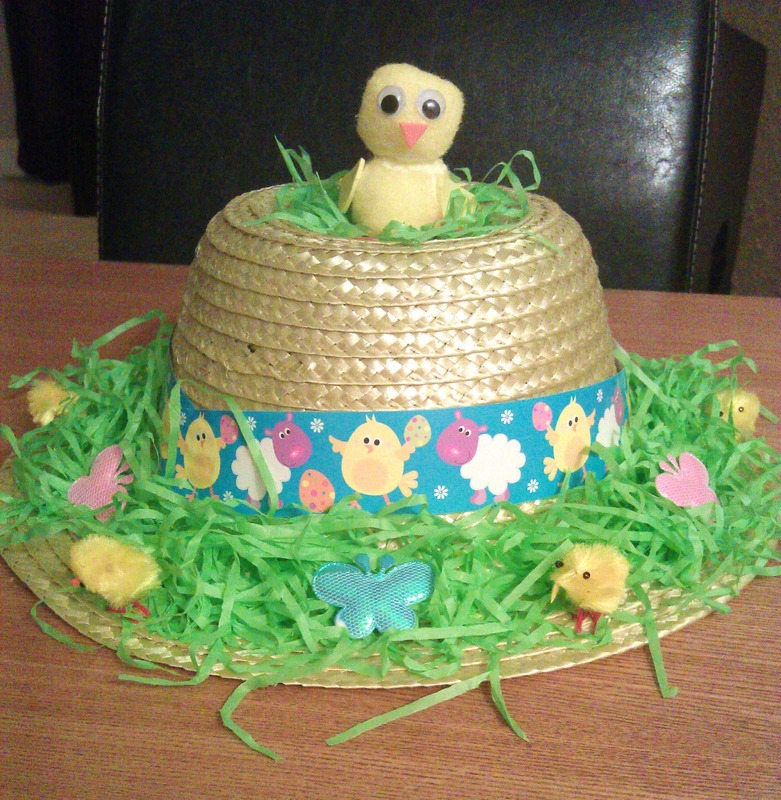 I've never made an Easter bonnet before but like to think im quite creative and really enjoy making things. I couldn't find a hat anywhere, partly due to the fact we were almost snowed in all weekend, but everywhere I tried didn't have any left. But a last minute dash to good old Sainsburys saved the day. I wanted to go for the 'less is more' look and make sure it didn't end up looking too girly either. I had a quick look on Pinterest for some inspiration but I didn't really have a plan of what it would look like so I just made it up as I went along! I'm most proud of the chick on top as I made it from scratch by sticking two pompoms together and making the wings, feet and nose out of little foam shapes. 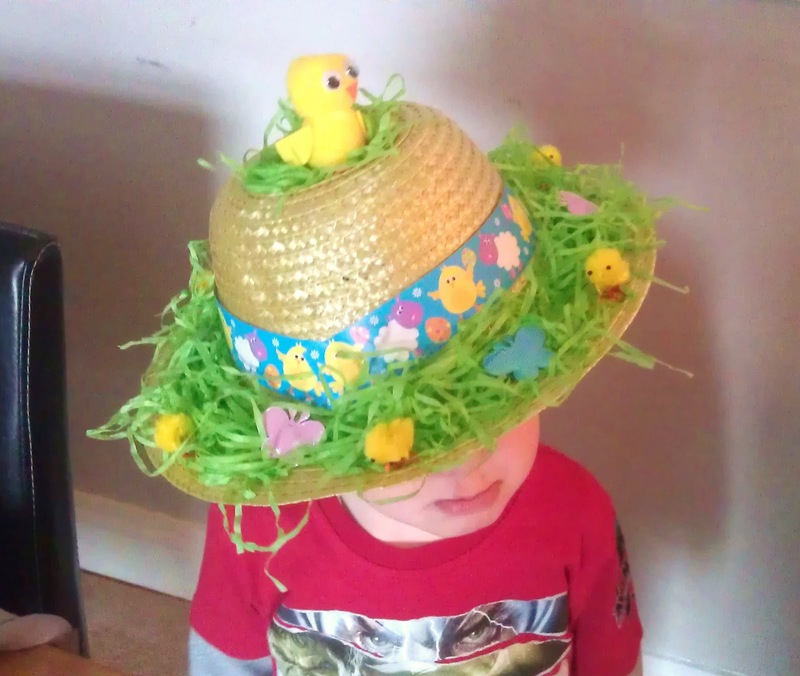 I was going to put a plastic egg on top with the chick sitting inside but Oliver didn't want any eggs on it! He loved it though and was very proud to take it to school yesterday. I cant wait until Lydia goes to pre-school so I can make one for her!